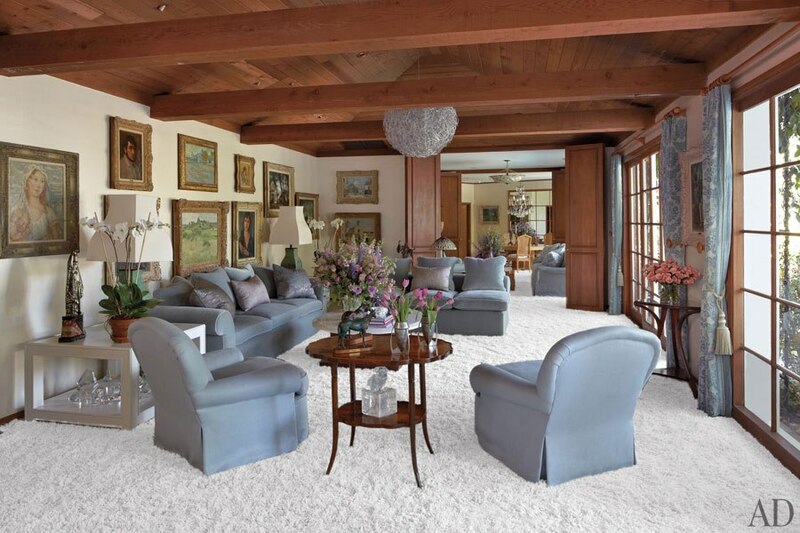 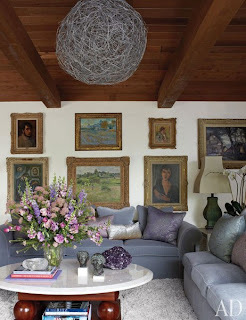 Hollywood legend Elizabeth Taylor Bell Air home is filled with soft pastel colors, Impressionist paintings, personal photographs and her children's craft and art work. 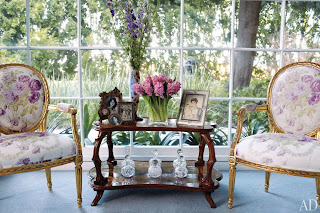 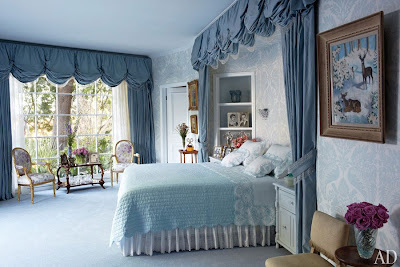 Elizabeth Taylor redecorated the house in 2010 with interior designer Waldo Fernandez. The painting in the living room include a large landscape by Camille Pissarro and,a smaller one by Vincent van Gogh. 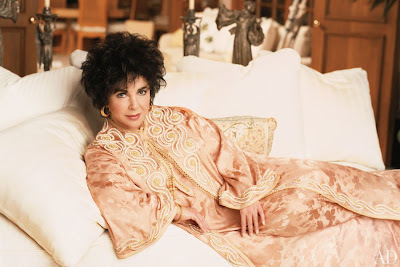 I love the Moroccan inspired Kaftan and beautiful vintage images. 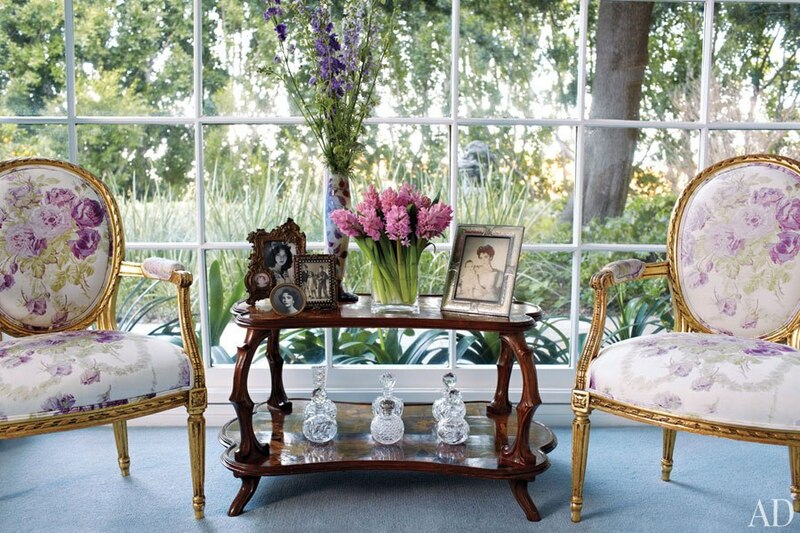 One of my favorite photographs, her dressing table. 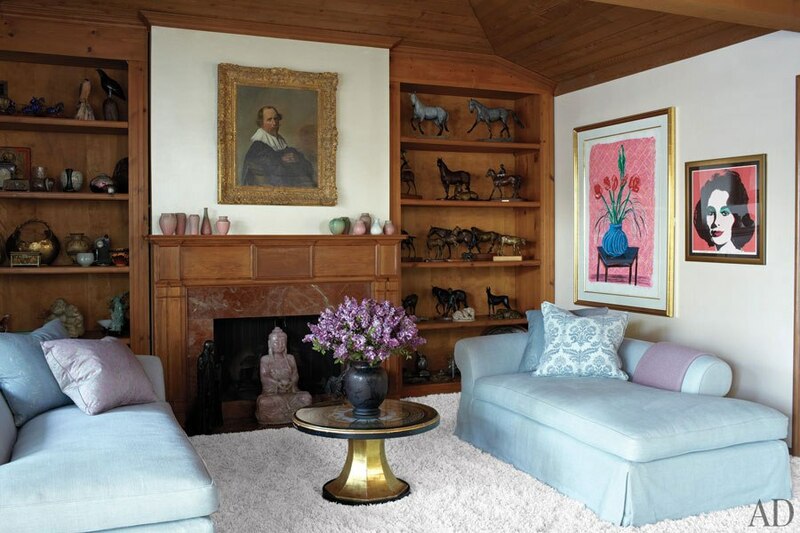 The framed picture of the deer is a painting by her daughter when she was a teenager.